Today’s Showcase Home is a beautiful downtown Franklin brownstone that offers the best of everything which can include its furnishings giving new meaning to the term emove-in ready.eeWith three bedrooms, three baths and 4,674 square feet of living spread over four floors, ites doubtful anything on your wish list wonet be found in this brick town home at 114 Church Street. 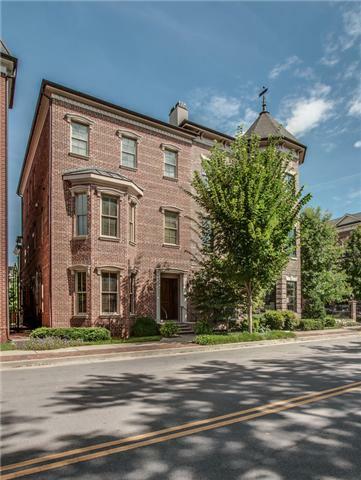 The Brownstone at 114 Church Street offers an amazing opportunity for someone who wants the best that Historic Franklin has to offer. 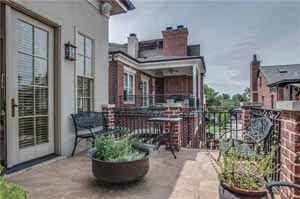 Priced at $1,350,000, the sought-after Brownstones at First and Church gated development is within walking distance to all Historic Franklin has to offer shopping, restaurants, history, street festivals, and the monthly Art Scene without being in the middle of it. High-end appointments are found throughout this home, exactly what you would expect and demand at the $1,350,000 price point. 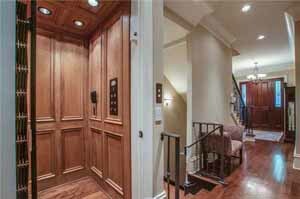 The study has impressive wood wainscoting, a coffered ceiling and beautiful built-ins. 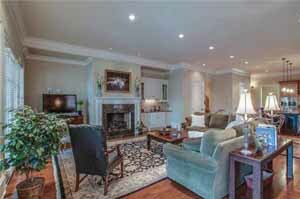 The bright living room features a marble-faced fireplace, wet bar, and French door access to a private patio. The formal dining room has large bay windows. 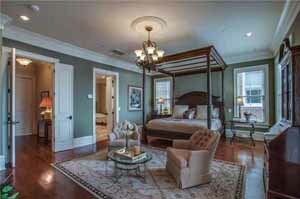 Beautiful hardwoods are found throughout. The gourmet kitchen has professional-grade appliances including a double stainless oven, counter-depth stainless refrigerator and a six-eye Wolf stovetop. 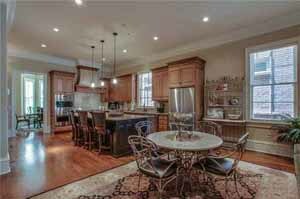 A large island doubles as both work space and entertaining station, with seating for three. 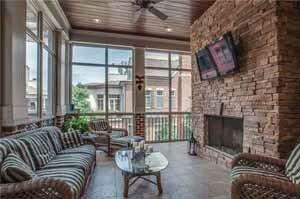 Three seasons of the year will find you outside on the second floor screened porch with a stacked stone wood-burning fireplace that is wired for a big screen TV so you wonet miss a bit of the big game. The master bedroom is warm and inviting. Large enough to have a sitting area, it has a fireplace, and small coffee bar for that morning cup of coffee before you even hit the steam shower in the amazing master bath. An adjacent small living area with three walls of windows has access to a private tiled deck, providing a quiet outdoor retreat. 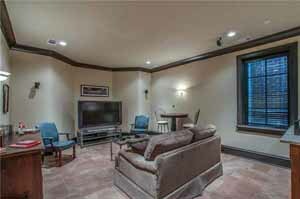 The bonus room can be used as a home theater, exercise, play room or a combination of the three. 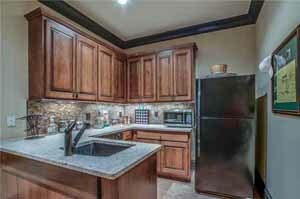 A second kitchen makes entertaining a breeze. 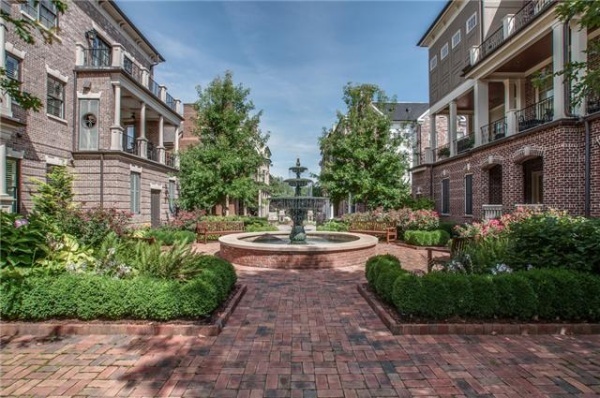 All of the Brownstone homes have access to a wonderful bricked courtyard that provides common space, reminiscent of old Charleston. There is parking for two vehicles. This home is zoned for Liberty Elementary, Freedom Intermediate, Freedom Middle and Franklin High schools. It is in within walking distance to the private Battleground Academy elementary school. For more information, contact listing agent Amy B. Wyatt with Worth Properties at 615-250-7880 or 615-300-1041.